Anybody who is slightly interested in creating an online course already has a passion to help people succeed, but with every activity under the sun, it takes time, dedication, sacrifice and even money to create an online course. Without a deep seated reason for creating an online course, you might never create one. It will always sound like a good idea that you keep flirting with, or an item that’s on your to do list, or a goal that you keep abandoning after you start. When you have a strong and compelling “why”, it helps you to actually create your online course. An Online Course is a product that you can sell as a side hustle or in addition to the other services you provide. 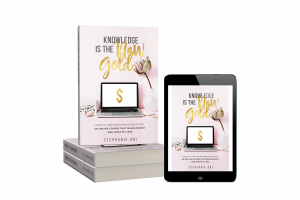 I created my first online course while I was still fully employed in a 9 -5, and the course did not disturb my job because it was completely online. I didn’t have to be physically present anywhere to deliver it. Here is the more interesting part about making money from online courses. You can resell your courses over and over and over again. It’s like building a house and receiving house rent from the tenants over and over and over again as the years go by. You only have to do the work once, and money will consistently flow into your bank account anytime you launch. To some people, this means that they can make more money so that they can take their children to a better school. To some people it means that they can move houses. To some people, it means that can go on a vacation without worrying about what’s left in their bank account. To some people, it means that they can give generously to their favourite charity or religious organization. An online course allows you to reach people who need your help, irrespective of where they live. When you launch a training program, often times, it is held in a particular location, and that automatically limits you to the number of people who live in that location and its environs. In some cases, you might be teaching a niche topic that might not have a wide audience in the city you live in. In some other cases, the people who need to attend your class might not be available on the day on the event. When you create an online course, you can attract more clients from different locations and this makes your income potential limitless. You can also attract clients who would not have been able to attend your physical training because they have another event planned for that day. Course Creators have literally made 2 to 10 times what they used to earn before, simply because they created an online course that was bought by hundreds and even thousands of people. I once paid for an online course and there were two thousand people taking the course with me. Today, that course has been taken by over 18,000 people in over 130 countries, and the number keeps growing every year. Online Courses allow you to work from anywhere because your physical location does not matter. Many businesses die when the owners has to move, especially if the business had a physical location or its customers were tied to a particular location. I had a client whose husband was moving to a different country and they decided that she would also move. This meant that she had to pack up her business or leave it in the care of a manager, who would hopefully run the affairs of the business properly. It also meant that she had to start again in this new city she was relocating to. She survived this transition by creating an online course. If you have an online course, you can literally continue like nothing ever happened. You don’t even need to be in the same time zone with the people taking your course. Online Courses allow you to be flexible with your schedule. 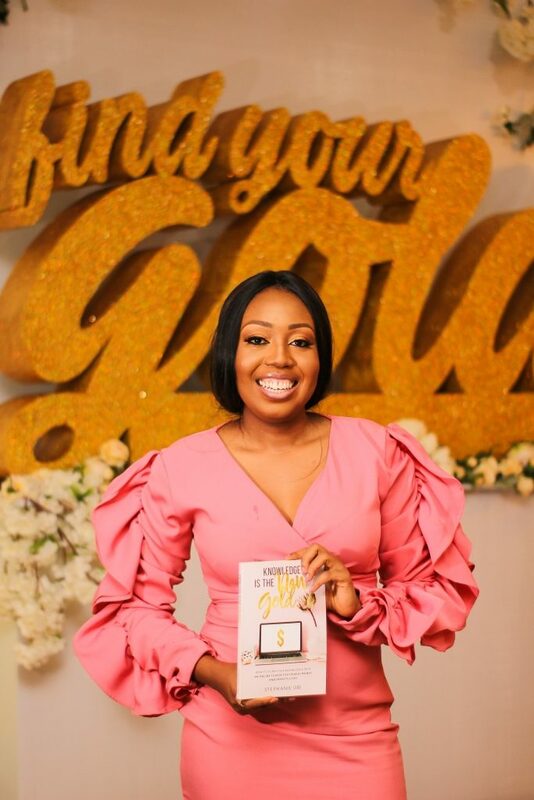 You can decide that you want to be a stay at home mum, take care of your kids, and still make money by selling online courses. You can decide that you only want to work certain number of hours per day or at certain times in the day. You can decide to take the day off to spend with a friend who just dropped by or with your kids. You can do all these and it won’t affect you if you have an online course that earns you money. There are even stories of people dealing with illnesses like depression and cancer, or people who get into an accident and have to spend time recuperating in the hospital, they can comfortably pay their bills because they have an online course that is set up to bring them income. Whatever your reason is, online courses can help you create flexibility and freedom in your life. Freedom to live your life the way you want it. You only have one life and you are living it right now. If everyday you are complaining, you have the ability to change your life, unlike trees that can’t help themselves. You can design a life that makes you happy and use online courses as a source of income. When you create an online course, it shows that you are an authority on your topic. This often leads to you being invited to speak at conferences, summits, etc. This is particularly relevant to established speakers, authors, experts, etc who speak at various events. Many atimes, the 30 to 60 minutes they have been given to speak is usually not enough to help people to actually get the results they are looking for. They can use an online course as an upsell to people who want to learn more after their presentation. Not every topic is being taught in schools, and so there is already a huge gap in the market, and there is already a group of people already looking for trainings in topics they can’t find anywhere. If you launch a topic in a field where there is a huge gap, you will find a waiting list of people who are ready to pay for your course even before you finish working on it. If you’ve tried to train people before, you might find yourself saying the same thing to people over and over again. If you are really good at what you do, you are going to get more requests as your popularity grows. In the beginning, it might be okay to explain things to people one after the other, but when the number of requests grow, you might find that you are spending so much time explaining the same thing to different people all the time. You can save yourself the time and effort it takes to repeat yourself over and over again by creating an online course that answers all their questions and helps them to achieve the result they really want. It also helps you not to burn out. A common challenge that passionate people who want to impact lives face is that they just keep going and they don’t realise when their health starts to deteriorate or other areas of their lives like family begin to suffer. With Online Courses, you can balance things out. Money is great but the fulfillment you get from actually impacting the lives of other people is just priceless and the impact is usually beyond the tangible result that we can all see and measure. Let’s say you create an online course to help married women with kids to lose weight. Number one you’ve made her to look attractive to her husband and you might just be saving her marriage. She now looks attractive again and romance can be rekindled in her relationship with her husband. Number two you’ve made her fit enough to play with her children. There are some very fat women who can’t run around with their children, they just get tired. They can’t run around, they can’t play. They lose out on priceless moments. Once your children grow up you’ve lost it. That’s it. You’ve lost their childhood period. When they are children they want to value the time they have with you. If you can’t run around, it’s too tiring for you, you know, losing weight and keeping fit and being healthy enough for your children, the value of that is priceless. It’s just priceless. Number three, you’ve boosted her self esteem and she now feels confident. She now feels confident and this confidence affects other areas of her life. she might start doing better at work. She might start doing better in her business. She might start taking leadership positions because she feels confident. All these are happening, because she took an online course to lose weight. The feeling you will get when she says thank you is priceless. 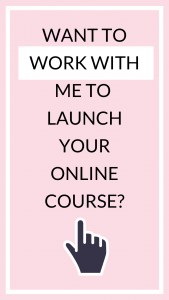 Ready to Create Your Own Online Course? 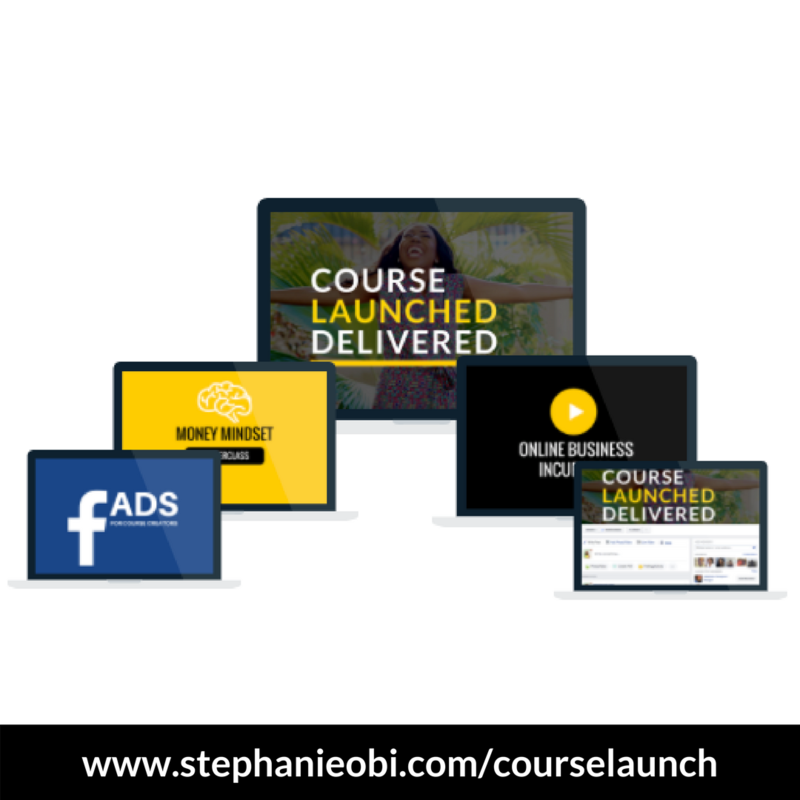 We have a 90 days program that takes you through the process of creating, launching and selling your online course. To find out more about it, click here.